Innovation is the key factor for ports to develop competitive advantage. The Port of Rotterdam is Europe’s largest port with a high number of inland barges visiting the port each year. Riverguide started as an initiative from the Port of Rotterdam to provide the inland skippers with more information to have a safe and smooth journey to, and through the port. The Riverguide app has been developed in collaboration with the inland skippers. 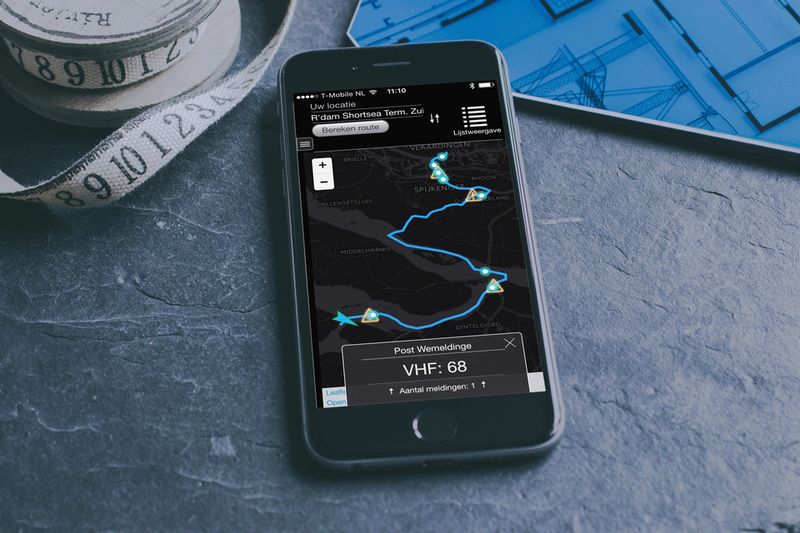 The app provides inland skippers with all information on berths, bridges, locks and terminals on the planned route. How long will it take me to get from A to B? Are there any locks/bridges on my way? And, what are the clearances and operating times of these bridges/locks? Next to the route information the app provides detailed dynamic information on the currents and tide on the route. All relevant information for safe and smart planning! Next to the information on routes, Riverguide provides information about the availability of berths matching with the specifics of the vessel and cargo. The barge skipper can easily see which berths are available and suitable for his vessel and (dangerous) goods. Also, water taps and car jetties are embedded in the app. For more information about how we developed Riverguide, please have a look here. The app has been piloted by over 80 barge shippers; a great success! The project is planned to continue in collaboration with other main sea-ports and fairway authorities! Have a look here and here for Riverguide in the media. Are you barge skipper and wants to be part of this great project? Please register here! ← Koerswijzer; for a safe passage!